NYC, 02/13/2019, 5:30PM. When Paris Sizzled: the City of Light during the fabulous 1920s. 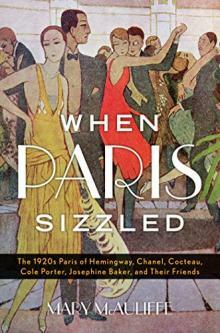 Historian Mary McAuliffe discusses her book When Paris Sizzled: The 1920s Paris of Hemingway, Chanel, Cocteau, Cole Porter, Josephine Baker, and Their Friends.